A policeman strongarms a surly drunk into guiding him and a group of his men deep into the Belgian Congo, where they intend to arrest a white man and self-styled king called Hammer. The reluctant guide has a history with Hammer that the police don't know about, a history that drives him to drinking. This one is lauded by a number of "best of" Internet lists, though I can't really recommend it. I didn't find it very compelling and there seems to be a running commentary in the show about a "ruined woman" that feels pretty horrific in a dated, sexist sort of way. 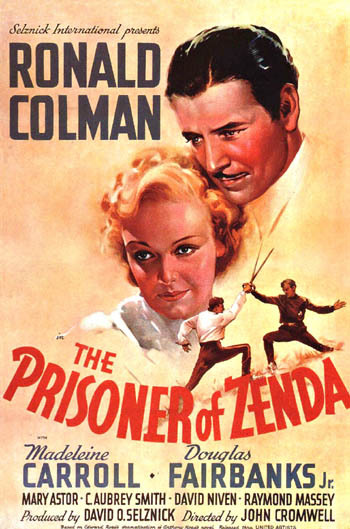 In the small country of Zenda, a man, perhaps not a very nice man and a bit of a tippler, is about to be crowned king. His evil brother is plotting to steal the throne and might succeed, unless ... unless a recently discovered look-alike cousin of the king to be might be of some use. A bit of over-the-top melodrama and romance suitable to the 30's might make this one just a bit hard to settle into for modern listeners. But after the first 5-10 minutes I was hooked. And the ending was a bit of a surprise to me. If you like this show, you might try a reformulated version of it in the 1993 movie Dave, starring Kevin Kline and Sigourney Weaver. A scientist attempts to bring his wife back from the grave. Should he succeed, what about her soul? David: "... if I succeed, I'll have Ruth back. Don't you see how much it means?" Ed: "Well, Yes. If you're successful." David: "Oh I've no doubt that. Look I've got my laboratory records. 714 times I've performed the experiment, on guinea pigs, rabbits, monkeys. 714 times it's been successful. Don't you see!" Ed: "But David, THIS is no laboratory experiment. Ruth was your wife." David: "She IS my wife. The only woman I ever loved. That's why I want to bring her back here and start her breathing and living again." Ed: "There's an ugly name for the thinking you are asking me to do, David." David: "I know. Grave Robbery. But there's a better name for it, Ed. Death Robbery! We'll rob Old Man Death." Though this program comes highly recommended by other vintage radio drama enthusiasts, it was thirty minutes that felt like an hour to me. I found the show to be corny and plodding, though undeniably disturbing. The pacing was off and some critical things, Ruth's accident for example, were glossed over while others, like the operation, were drawn out too much. Boris Karloff was the headline talent, but Lurene Tuttle, as one online source puts it, "romps through her part, leaving Boris in the dust" (RadioGOLDINdex). 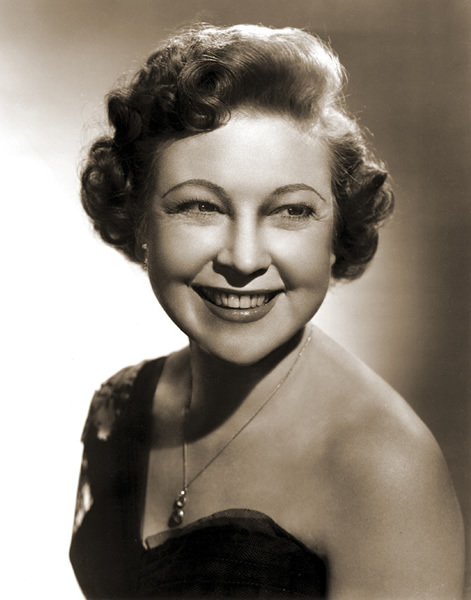 It's true; Lurene's post-operation Ruth was extremely uncomfortable to listen to (in a good way). Three men working in a lighthouse in French Guiana witness a ship crash into the reef and disgorge an army of rats. Moments later this tidal wave of voracious rodents washes up against the lighthouse itself! The introduction is a master piece in itself. The narrator deftly erects the site in the listener's imagination one element at a time, so that the whole scene comes to life in moments. The three personalities in the lighthouse are unique and varied. They form an interesting chemistry that evolves as the stress level increases. The prize winning sound effects really sell the horror. 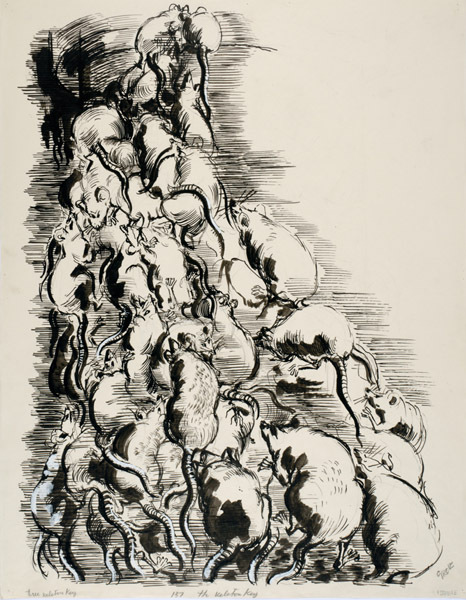 The incessant chittering of the rats in particular drives the tension. And the lonely coronet ... well, you'll see what I mean. The writing is spectacular. Pacing, word choices, dialogue ... they sweep the reader through the story without a single wasted moment. Radio and Television Life Magazine awarded the sound effects on the show, "Best Of The Year." Harry Bartell, Jeff Corey, Vincent Price, George Toudouze (author), James Poe (adaptor), Cliff Thorsness (sound effects creator, executioner), Jack Sixsmith (sound effects executioner), Gus Bayz (sound effects executioner), Harry Esman (control engineer), William N. Robson (producer, director). If the voices in episode 102 are a bit overdone for your tastes, a different cast with a more straightforward presentation was used for the inagural appearance of this script. Del Castillo (organ), Elliott Reid, George Toudouze (author), Harry Bartell, James Poe (writer), William Conrad, William N. Robson (director). Labels: Adventure, Horror, Kate's List, When Animals Attack! Bartleby is employed as a scrivener (copyist) of legal documents. It is soon clear that he would "prefer not to" perform most, if not all, tasks assigned to him. His employer seems incapable of figuring out a method of getting Bartleby to do his work. As the empoyer-narrator says, "Nothing so aggravates an earnest person as a passive resistance." As with most programs in The Black Mass series, this is a reading of the short story, in slightly abbreviated form. The voices are excellent and the audio is extremely clear. The story itself ... well it's as frustrating to absorb as ever! And it may be more relevant today than it was even in 1853 when Melville penned it. The reader/listener will constantly ask him or herself why Bartleby isn't simply fired. Yes, that would seem logical. And yet those of us who have spent a significant time in the workforce have seen versions of this scenario enacted many times in real life. 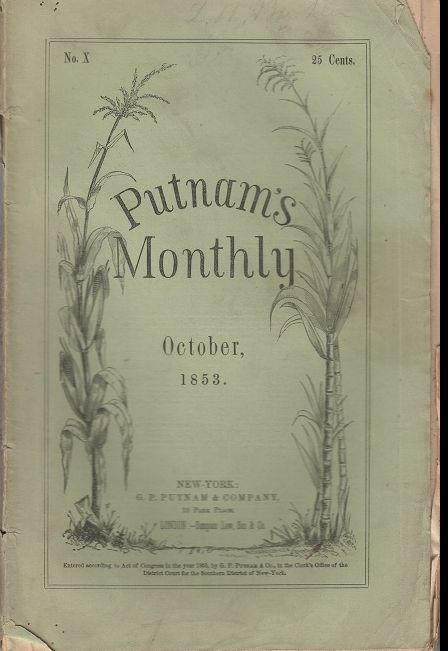 The cover of Putnam's from the month prior to the issue containing the first of the two installments of Bartleby. It's the best I could do. Putnam's used a standard cover, so November and December probably looked much the same. "Lulungameena, the very name sounds like music!" 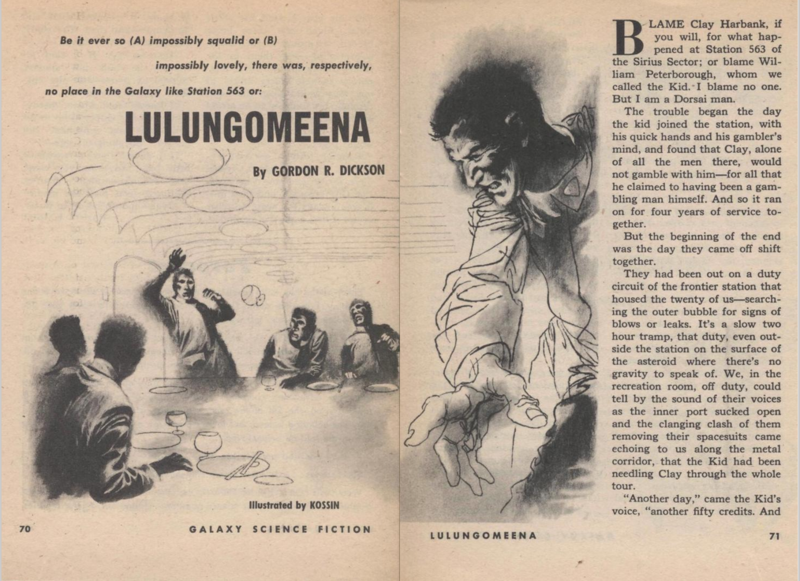 Clay swears that his home, Lulungameena, is the most beautiful planet in the universe. He is saving money to go home, money which a young punk at Station 563 aims to win off of him. But Clay won't gamble. Enter a scaley alien called a Hixabrod, a race that is incapable of lying. Seizing an opportunity, the young punk picks a fight with Clay over which home planet is the most beautiful, with the Hixabrod to serve as an impartial and honest judge. The punk counts on winning this fight because he knows something about Clay's home planet that Clay does not. But then, maybe Clay has some inside information of his own. Read it in Galaxy magazine, January 1954. AUDIO PROBLEM - a skip at 16:23 seems to drop a key plot element, but its importance is covered later in the story. Gordon R. Dickson (author), Ralph Camargo, Ned Wever, Jack Grimes, Bob Hastings, Kermit Murdock, George Lefferts (adaptor), Fred Collins (announcer), Daniel Sutter (director), William Welch (producer).